Andrew Kennedy's Angling Blog at Just-Fish.co.uk - Fishing Blog Coarse Fly Lure Pike Perch: Sloe Gin + Heavy Furniture + Heavy Music = No Fishing for Me! Sloe Gin + Heavy Furniture + Heavy Music = No Fishing for Me! Real life has been getting in the way of fishing recently. Since my last post I've spent a single, fruitless evening sat behind a pair of motionless barbel rods. I arrived on the river after dark, the air temperature was hovering around a balmy 3 to 4 degrees Celsius! I knew it was futile before I started, but I gave it a go anyway, wrapped up in plenty of layers. I stuck it out until about 23.30 and as I started to pack my gear away I noticed all of my bags were covered in frost! That's very often happened when I've been piking before but never when I fish for barbel! Since then I've been up to Blackpool illuminations for a couple of days with my girlfriend and family, and also helped her move house. This left me with plenty of manly things to do, such as constructing beds & wardrobes, lugging boxes around in a Maun Motors Transit van, covering the bathroom (and probably a few bits of carpet) in silicone sealant and hacking various parts of the garden to bits with a machete ('twas a tad overgrown! ), a strimmer and a long-reach petrol hedge trimmer; but left no time for fishing. 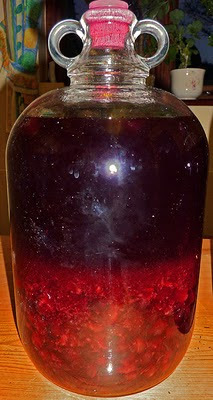 My one indulgence over the past two or three weeks has been the making of my first ever batch of sloe gin. In recent years I've noticed an ever-increasing crop of the fruit of the blackthorn bush, lacing the hedgerows of some local fields. Over the the same timescale my liking for the indulgent, sweet, burgundy-coloured tincture these fruits help produce has also been increasing; so this Autumn I decided to harvest my own sloes and see what kind of quality sloe gin I can come up with. Somehow I managed to pick over 7lb of sloes (although to be fair, I didn't leave many unpicked! ), half of which I froze overnight (a contentious subject, I found out when I discovered Sloebiz, a website and forum dedicated to the making of sloe gin! ), the other half I left in a bucket of lightly-salted water (to both clean the sloes and weedle out any bugs hiding amongst them). I gave the frozen ones a few good smashes with my fists as they were defrosting, which left the sloes a bit of a mulchy mess, but saved me having to split them. The fresh ones were so ripe they split open within a couple of hours, so again this saved me a job! These were I put half of each batch of sloes into 2 demijohns, along with a bucket load of sugar and a couple of secret ingredients (if it works, then I'll spill the beans on my secrets, but I'm in a bit of a light-hearted competition with my mate Matt and anyone else who wants to join in, with a blind taste test deciding the winner). 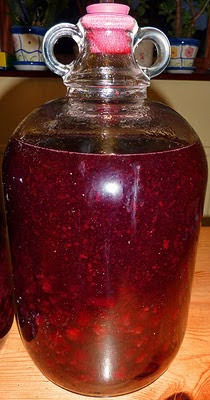 The demijohns have had a few good shakes now and the colour is really coming out of the sloes. I have a few pictures below showing my progress so far. The bottle on the right had just been shaken, the one on the left had not. I'm hoping to use one demijohn from around Christmas time this year. It should help warm the cockles on those Jan/Feb pike sessions! The other one I'll leave until next Christmas by which time it should really blow your socks off! 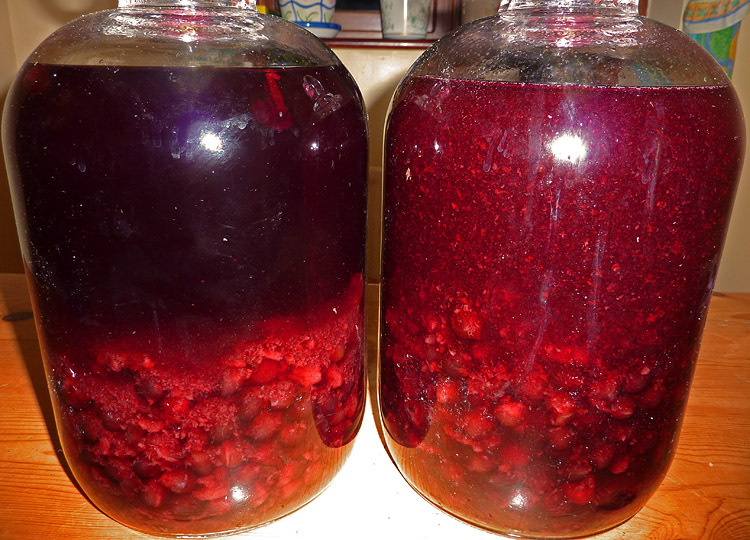 Here are my two first attempts at making Sloe Gin. The one on the left has settled, the one on the right has just been shaken to get some more of the lovely sloe-ness out of those fruits! This week my ears are recovering from almost being ripped off my face when I watched the double bill of Rolo Tomassi (one of my favourite British bands) and The Dillinger Escape Plan (one of my favourite bands in the world) at the tiny sweatbox that is Nottingham Rescue Rooms. Dillinger should be gracing the Rock City stage by now, surely? At least then more than 20% of the audience would be able to see the stage. And it wouldn't feel so full the walls were about to burst either! I've seen Dillinger 6 times now I think and although I loved their chaotic Leeds Festival set a few years ago, I'm pretty sure this was my favourite show. I don't know how they can play so fast and keep so tight when hurling around/off the stage like they're posessed! Rolo Tomassi suffered from some terrible sound, which didn't give the crowd the full effect of their musical complexity and ever changing time sugnatures. They seemed not quite so tight, but maybe this was exaggerated by just how well honed the onstage DEP machine is.